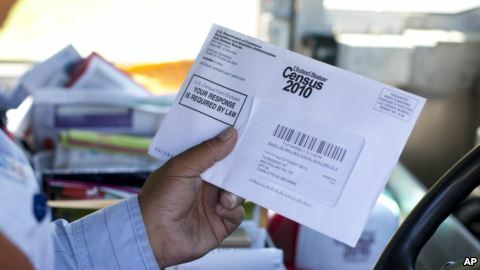 The U.S. Commerce Department has announced that the 2020 U.S. Census will include a question about citizenship status. Democrats have criticized the decision, saying it will cause fear in immigrants and prevent them from responding. The U.S. Census takes a population count every 10 years, and not just because the Constitution requires it. The results have several important uses. They decide the number of seats each state gets in the House of Representatives. And they decide how the federal government divides money for local communities. Census information also helps communities choose places to build things like schools, food markets and hospitals. Several state attorneys general urged the Commerce Department last month not to add the question. They said it could lower participation among immigrants and cause population numbers to appear lower than they are. California Attorney General Xavier Becerra said the state will take the Trump administration to court over the decision. He said the state is prepared to do what it can to protect California from an incomplete census. “Including a citizenship question on the 2020 census is not just a bad idea — it is illegal,” Becerra said. The Democratic leader of the House of Representatives, Nancy Pelosi, said Tuesday that adding such a question would cause fear and distrust in defenseless communities. She said it would worsen the lack of representation of some communities, and that those communities would be left out financially. The Commerce Department said Monday that citizenship information will help the Justice Department enforce the Voting Rights Act. The law protects minority voting rights. It was signed into law in 1965. The department also said that between 1820 and 1950, almost every census asked some type of citizenship question. But many civil rights groups and other groups say the Justice Department is wrong in its claim that the citizenship question is needed to enforce the Voting Rights Act. Census counts are taken in two ways: by mail and by workers walking around neighborhoods. The Census Bureau says that the 2010 census got a very high number of answers. About 74 percent of U.S. households mailed in forms. The other households were counted by workers in neighborhoods. The Associated Press reported this story. Alice Bryant adapted it for Learning English. Ashley Thompson was the editor.